Malcom X is such a well-known figure across the world, but how much do we really know about his life? 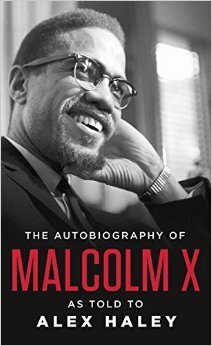 This month’s book selection is ‘The Autobiography of Malcom X’, written by Malcom X and the journalist Alex Haley. In our troubled times, we often look to others for inspiration. Malcom X is one such inspirational individual and has been hailed as one of the most influential figures of the 20th century. From his tragic and troubled youth, to his role as one of the leaders of the Nation of Islam, and finally to his reversion to Sunni Islam and his striving for equality and peace, his life carries a multitude of lessons within it for us all to learn from. Join Al Kitab Club in our reading of ‘The Autobiography of Malcom X’ and don’t forget to share your thoughts with us at the end of the month!